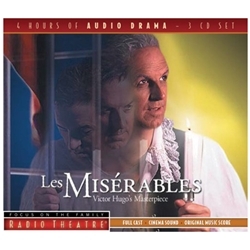 Les Misérables is one of the world's masterpieces. it enthralled audiences worldwide as a great novel...as a major motion picture...and as a blockbuster musical play. Now, this mighty drama has been adapted as an epic production starring some of Britain's finest actors. True to Victor Hugo's original novel, this grand production follows the tale of Jean Valjean as he encounters first the savage injustice of the law, and then the gentleness and grace of God.